School's Out! The Family's Coming to New York City! Holiday Inn Manhattan View always takes pleasure in welcoming families to our hotel. While that first encounter with our Front Desk associates may find tired kids and harried parents looking for credit cards or backpacks, by day two everyone is rested and anxious to see all the "great stuff" that is New York. We share our own favorites, help with city subways and buses, give great hints on where to eat, how to save money, and where much needed breaks can also be special. Of course, selecting the Holiday Inn Manhattan View is the first best-choice of the visit, assuring our guests comfort and convenience, spectacular city views, a chance to be part of a real city neighborhood...and affordable rates. 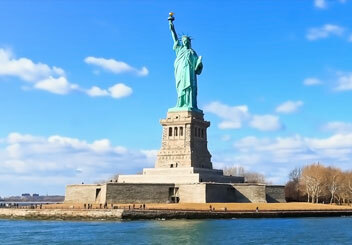 Every visitor knows Manhattan's iconic highlights, but we'd like to recommend several special places and events of SUMMER 2014 in the Big Apple that could turn out to be among the best...and for all ages. 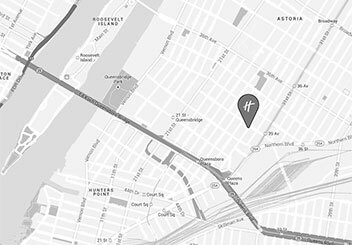 We start with our own corner of the city, Long Island City and Astoria, just across from Midtown Manhattan. Try the neighborhood's ethnic restaurants in Astoria and Long Island City . Our Palette of Suggestions for a Great Summer 2014: Visit LIC Flea and Astoria Flea, the largest outdoor markets in Queens. Vintage clothes, antiques, gifts, food, and more. Check on Facebook for the weekly special events. LIC Flea, each Saturday at 5-25 46th Ave, and Astoria Flea, every Sunday at Kaufman Astoria Studios-- from 10AM to 6PM. Our Front Desk team will assist with information. Summer Streets One of the best events of every August -- You own the streets in Manhattan! For adults and pretty sophisticated kids, here's a one-evening treat: The multitude of Chelsea's contemporary art galleries celebrates from 5-8pm on July 24, featuring group exhibitions, artist talks, receptions and other special events. Enjoy a stroll along the High Line as part of the memorable experience, hopefully a breathtaking sunset over the Hudson River. Restaurants and pubs align this neighborhood 16th to 29th streets, between 9th and 11th avenues. Have a great New York Visit,we look forward to welcoming you to the Holiday Inn Manhattan View!